Can you imagine putting this in your store front window!? 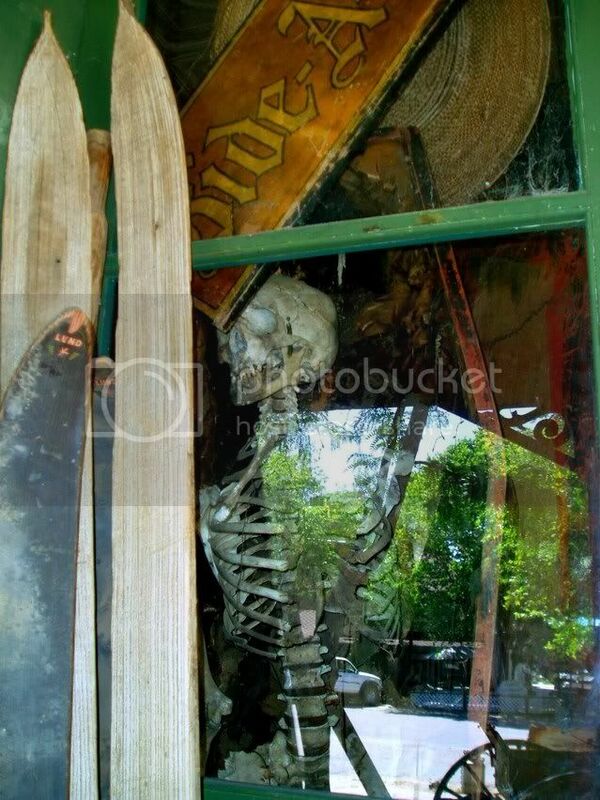 It's in a desolate antique shop, in a small little town outside of Lake Tahoe, and the owner is just as mysterious as... who the heck this skeleton belongs too....I am wondering how he can have it in his window like that? He is selling it as authentic....from the 1800's, he states it was used by practicing doctors in France. But it just can't be real !?!? It is entirely possible that it's real. What I wonder is why the health officials aren't stepping in to check it out. 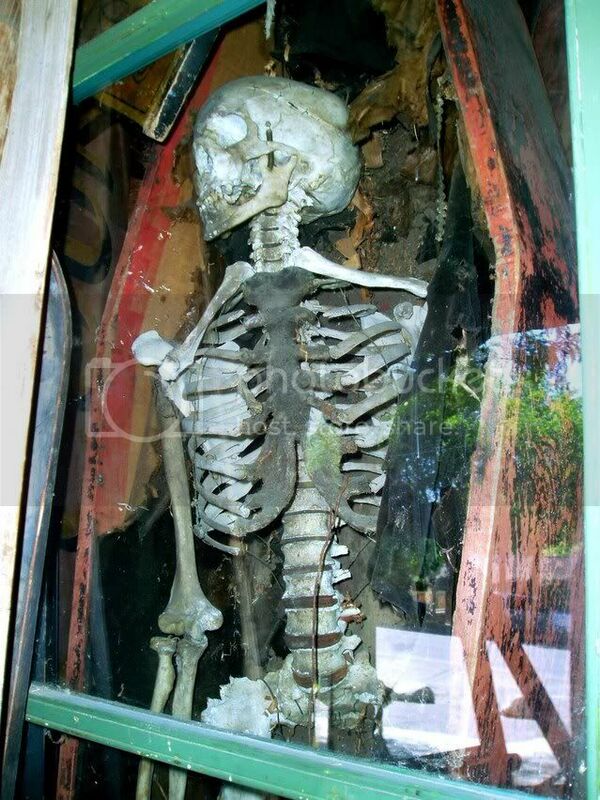 The reason I wonder is my dad bought an old building once in Missouri in which we found three skeletons. Before we even knew it the health inspector was on the site and the bones were confiscated. We were kids and thought it terribly exciting. I live in a small town right outside of Lake Tahoe...called Placerville...where is this ??? ?